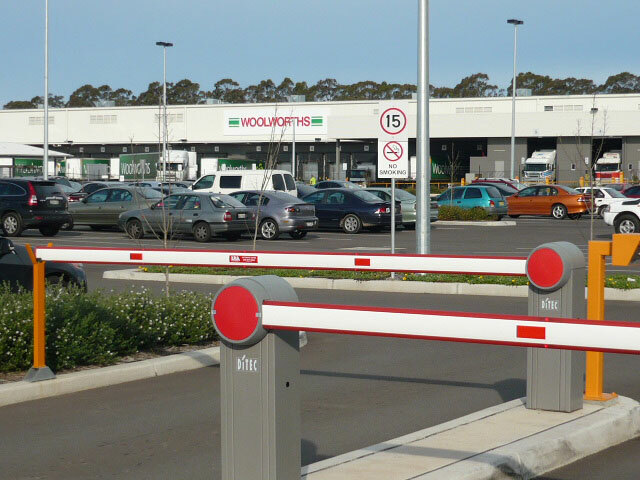 High volume commercial or industrial sites often require a system that allows fast access to the sites while restricting that access to authorised personnel. 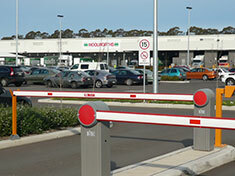 Nowadays, although technology offers a variety of control systems, traffic barriers either manual or automatic, remain the simplest and most convenient solution to control parking access. We offer a choice of products for every situation. Please contact us to find out which products will suit your condition best. Precision engineering, impressive speed, best performance. Introducing the heir to the throne of high-volume vehicular access control. With an updated look that perfectly matches its superior performance, an optimised design for the ultimate in ease of installation and boasting the awe-inspiring speed that made its predecessor king of the access control jungle. The SECTOR II is the embodiment of automation evolution. The SECTOR II is the benchmark against which all others are measured. 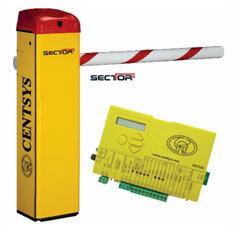 The SECTOR II standard colour is Traffic Yellow, however other colours are available via special orders (price premiums and longer lead times apply). Rapid opening – raising a 3m pole in under 1.2 seconds and lowering it just as quickly. Battery Backup – beating up and down 3000 times during 24 hour period. 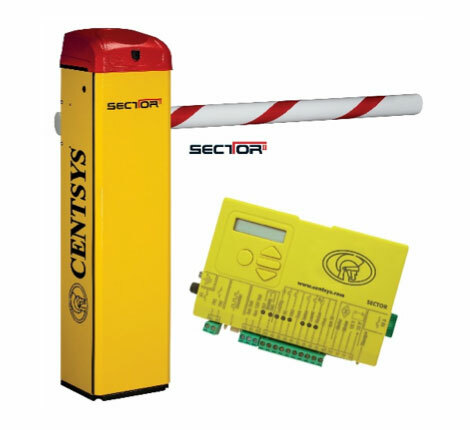 Built in mains failure detection can be set to keep the barrier raised under power failure conditions. High torque boom pole operation – particularly suited to high wind areas. Available in 3 sizes – 3m; 4.5m and 6m. Onboard receiver stores up to 500 transmitter buttons. Electronics reside at top of enclosure for easy access. CHRONOGUARD timer Technology – built in real time clock and calendar timer which allows you to set up different exclusions which can cater for public holidays, special time periods etc. 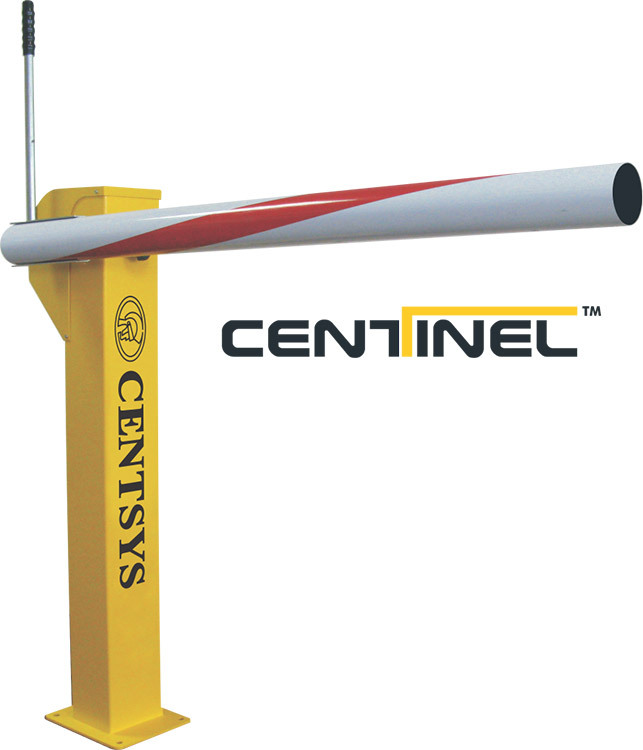 The Centinel manual traffic barrier is designed with the user in mind. After all, just because it’s a manual barrier doesn’t mean you have to do all of the work! We outfitted the CENTINEL with an innovative internal spring balance mechanism – which not only gives the barrier a compact slim-line appearance, but also means that the most feather-light of touches can set it in motion... because you don’t necessarily want a shoulder workout when manning a barrier. The Centinel has many more features, just click on the brochure below. Truly innovative shapes and uncompromising safety: These are the credentials of the Ditec QIK barrier. The QIK has many more features, just click on the brochure below.